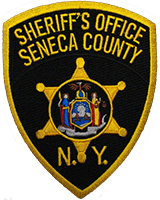 The Seneca County Sheriff’s office reports that on November 08, 2018,at 4:44 PM, Seneca County Deputies arrested Sara Ann Landen, Age 39, of 5871 Shawnee Rd NY, on St Rt 414 in the Town of Tyre. Landen was charged with Driving while intoxicated, Aggravated Driving while intoxicated, Open container of alcohol in a motor vehicle, and Refusal to submit to a roadside breath test. Deputies report that the arrest stems from a complaint of an intoxicated driver. Landen was arraigned on the charges and was remanded to the Seneca County correctional facility on $500 cash or $1000 secure bond. Landen is to appear before the Town of Tyre Court on November 13th at 9am to answer the charges. The Seneca County Office reports that on October 21st, 2018, Seneca County Sheriff’s Deputies arrested Ralph J Napolitano III, Age 22, of 85 Groveville Rd Buxon, ME, in the Town of Covert at 6:46pm. Upon investigation Napolitano was charged with Criminal Contempt 2nd, Aggravated unlicensed operation 3rd, Unlawful possession of Marihuana and Speed in excess of State Highway limit. Deputies report that the arrest stemmed from a traffic stop on St Rt 89 in the Town of Covert on October 21st. Deputies report that during a traffic stop Napolitano was found to be in the vehicle with another person that he had a Class A order of protection with. During the stop it was also found that Napolitano was in possession of marihuana and was operating on a suspended license. Napolitano was held in the Seneca County Jail for arraignment.